The India Cements Limited (ICL) is the largest producer of Cement in South India with a production capacity of 3.5 Million Tonnes of cement per annum and a market share of 14% . 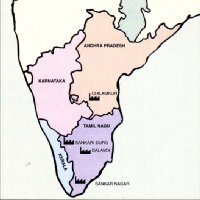 The Company operates four cement plants, three of which are in tamil Nadu and one in Andhra Pradhesh. ICL markets its cement in two premium brands; namely "SANKAR CEMENT" and "COROMANDEL CEMENT" and is a market leader in Tamil Nadu and Kerala and overall in the South. It distributes its cement through a network of over 2,700 stockists. The Company, incorporated in 1946, set up its first cement plant at Sankarnagar, Nellai Kattabomman District, Tamil Nadu in 1949. This plant was modernised to a Million Tonne Dry Process cement plant in 1990. The second cement plant at Sankari, Salem District, Tamil Nadu, which was set up in 1963 now has a capacity of 0.6 Million Tonnes. 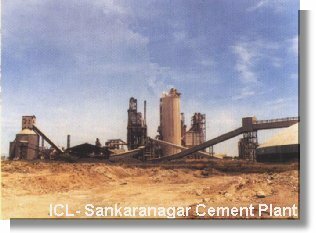 ICL's third cement plant at Chilamakur, Cuddapah District, Andhra Pradesh was acquired in November 1990 and is a one million tonne Dry Process Cement Plant. 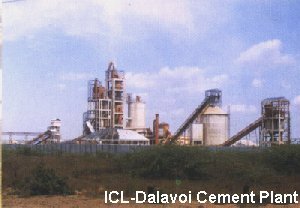 ICL has just commissioned its fourth cement plant at Dalavoi Village, Perambalur District, Tamilnadu, with a capacity of 0.9 million tonnes, based on the state-of-the-art dry process technology. 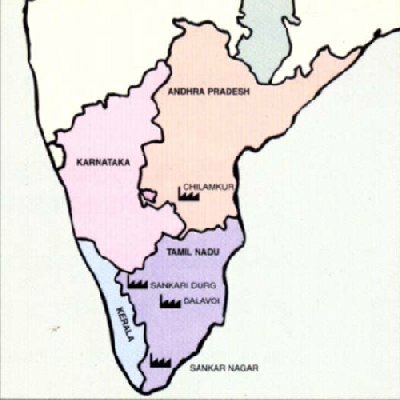 On 17th September 1997, ICL acquired all the issued shares of Visaka Cement India Ltd., a 0.9 million tonnes per annum cement plant coming up near Tandur in Ranga Reddy District, Andhra Pradesh. With this acquistion the capacity of ICL will raise to 4.4 million tonnes on completion of the project.ICL has also acquired the Yerraguntla plant and that will raise its capacity to 5 million tonnes pa.